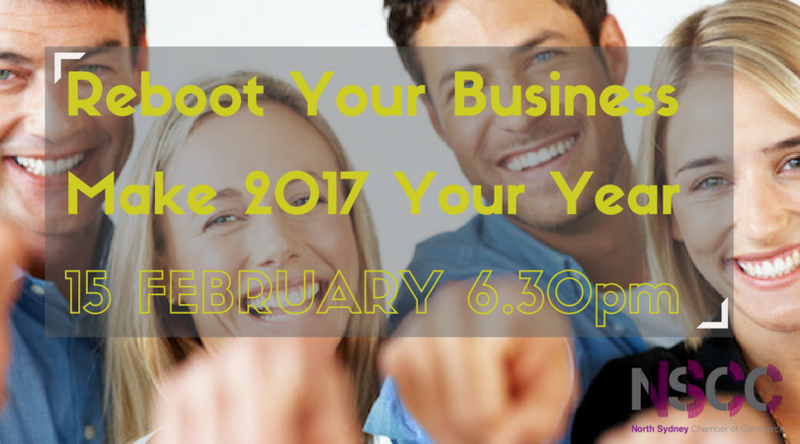 The North Sydney Chamber of Commerce is kicking 2017 off with a bang. We have both our AGM and an amazing event lined up for the evening. Building a business is about constant transformation and challenges. There are lessons we learn along the way, some good, and some we wish we had been told about before we took our first steps, are what will determine how long it takes for us to reach our goals. 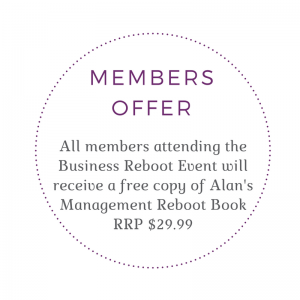 We have asked our speaker Alan Hargreaves to share with us personal lessons and stories behind his new book Management Roboot. Why the simplest strategies work best. My first MBO. Why the ‘best’ can often be the enemy of the ‘good’. Angel investing for beginners. Experts don’t always have the answers. A brush with investing in reality TV. Luck occasionally beats probability. Breeding thoroughbreds for fun and losses. What business can learn from sport. My daughter’s first Olympics. The problem with best customers. A private equity view of buying success. Saving families by saving money. Launching Australia’s first Social Impact Bond. In what promises to be a fun and exciting evening. We look forward to seeing you there. 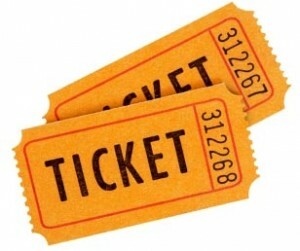 Buy Your ticket now. Alan Hargreaves has spent 35 years in financial services and business consulting. His approach to management is highly effective, yet inspiringly simple. It focuses on real issues rather than strategic principles. His innovative mix of personal and collaborative action brings immediate traction. He is author of the management book, Recharge, published by John Wiley and Sons, and he collaborated with cartoonist, Patrick Cook, to publish 60 Second Recharge. Their latest book, Management Reboot, was released in January 2017. Alan is an economics graduate from the University of Sydney. He worked for 20 years in international finance and has built businesses in Hong Kong, Singapore and New York. Since returning to Australia, he has managed his own private investment trust. He has excellent presentation skills and has worked extensively with business audiences through both radio and television. His private equity and advisory services span IT, media, property, finance, communications and retail. He remains heavily engaged in Asian business, sitting on the boards of several Asian private equity funds. Alan is regularly engaged as a speaker, consultant and mentor. His passions are business, boats and breeding horses.